The 2009 Digest of Education Statistics, issued by the U.S. Department of Education, reports a drop in the 2007-08 school year from 2.9 million to 2.6 million students identified as having specific learning disabilities. While the data indicate an overall decrease in students identified as having disabilities generally under the IDEA, the change in the SLD category is by far the greatest. The important question is what has caused the drop in numbers. The debate has begun over whether these data are linked to changes in education policy, such as Response to Intervention and earlier intervention for struggling students or a stronger focus under No Child Left Behind on reading and math skills. Others speculate that perhaps students are being identified under other categories of disability or that teachers have better training in differentiated instruction and therefore might refer fewer students for evaluation. Increased early intervention services at earlier ages may also be a factor, as well as the use of IDEA “early intervening” funds to provide services for general education students having academic or behavioral challenges. 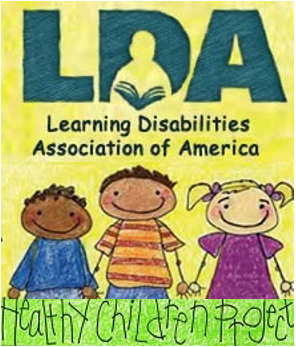 LDA emphasizes the importance of timely referral for and implementation of a comprehensive evaluation to determine which students are eligible for special education services under the category of specific learning disabilities. These data deserve serious analysis to ensure children with true learning disabilities continue to receive appropriate services. It looks like Congress, which just returned from an extended August recess, may be leaving town earlier than its announced adjournment date of October 8. The House has talked about the earlier adjournment date, but thus far the Senate has not. An earlier departure Ã¢â‚¬“ possibly October 1 Ã¢â‚¬“ would leave only three weeks for any additional business to be accomplished before the November election. There are very few “must do” bills on the docket before Congress adjourns. The most pressing are the small business legislation and a continuing resolution to keep the government operating until the appropriations bills are completed. If time permits, the Senate might consider a food safety bill, while the House may take up the child nutrition and WIC reauthorization. The possibility of consideration of any other legislation, such as the reauthorization of the Elementary and Secondary Education Act, is extremely unlikely. The other question mark is whether Congress will return for a lame duck session, particularly to finish work on the 12 appropriations bills. Election results may dictate the remainder of the 2010 congressional calendar. The end of the summer and early fall have ushered in new staff at the U.S. Department of Education and the House and Senate to work on disability issues. The Office of Special Education Programs (OSEP) has a new director, Melody Musgrove. Laura Schifter has assumed the position of Disability and Education Advisor on the House Education and Labor, and the Senate HELP Committee has welcomed Kennedy Fellow Dr. Michael Gamel-McCormick to work on disability policy. Ms. Musgrove previously worked as the Director of Business Development at LRP Publications. 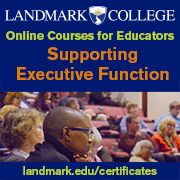 More specifically to her task as OSEP director, she served as State Director of Special Education in Mississippi. In addition, she has also worked as a due process hearing officer, and at the district level as an assistant superintendent for curriculum and federal programs, an assistant principal, and a special education teacher at the elementary, middle and high school levels. Melody has been praised especially for her work to reduce the achievement gap for traditionally under-performing students and for the design and implementation of a focused system of monitoring for local districts. Laura Schifter has a particular interest in learning disabilities and has served on the board of the National Center for Learning Disabilities. She is currently working on a doctorate at the Harvard Graduate School of Education, focusing on policies related to students with disabilities and has an Ed.M. from Harvard in Mind, Brain, and Education. She has worked as a White House intern on the Domestic Policy Council and as an education fellow in the office of Senator Christopher Dodd (D-CT). Most important, she has been an elementary teacher and brings that experience in the classroom to her policy work. The newest addition to the disability policy network is Dr. Michael Gamel-McCormick, a Kennedy Fellow assigned for 14 months to the Senate HELP Committee. Michael teaches courses at the University of Delaware on disabilities across the life span and their impact on families and on technology and its use with very young children with disabilities. He also serves as Director of the Center for Disabilities Studies. Earlier in his career Michael taught preschool children with disabilities and served as the director of an early intervention program and of a large urban human services agency serving children with disabilities ages birth through eight years old and their families. Most of his direct service experience is with children and families living in poverty. Welcome to these talented individuals! 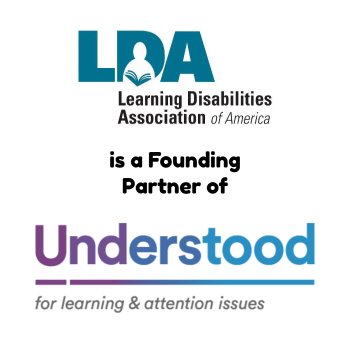 LDA looks forward to working with each of them to ensure appropriate education policies for children with specific learning disabilities. The Government Accountability Office has just released a study on the use perchlorate, a man-made and naturally occurring chemical. In its naturally occurring state, perchlorate can potentially interfere with thyroid functioning and negatively affect fetal and infant brain development and growth. There are currently no federal standards for perchlorate in drinking water, and the Environmental Protection Agency has not made a determination about whether a standard will be established. The Department of Defense, NASA, and the Department of Energy are the main consumers of this chemical. The GAO study examines the extent that perchlorate appears in the water and food supply, what actions these agencies are taking to address release of the chemical particularly into water and the food supply, and what state actions have been taken. No recommendations are included in the report. Click here to read the full report or view highlights. LDA continues to be proactive in addressing concerns around potentially dangerous chemicals in our food, water, and air supplies that can affect prenatal and early development. LDA’s activities on environmental issues can be followed at the Healthy Children’s website.